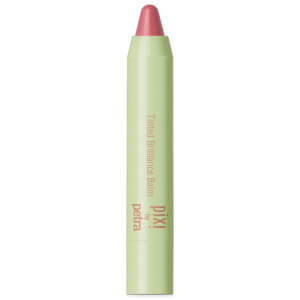 Formulated with an expert blend of nourishing ingredients, PIXI Tinted Brilliance Balm - Nearly Naked (3g) keeps your lips kissably soft whilst giving them a beautiful hint of colour. Creating a glossy gel effect, the balm wears off to reveal a customised hue that develops based on the pH levels of your lips. Enriched with moisturising jojoba oil, shea butter and rose extract, as well as plumping peptides, protecting vitamin E and antioxidant vitamin A, this twist-up crayon will keep your lips in optimum condition, whilst being delicately coloured with a flattering hue. - L.M.